“One man’s loss”, as they say, “is another man’s gain”. George Raft refused a number of roles that he must have rued in hindsight, as they were immortalized by Humphrey Bogart. 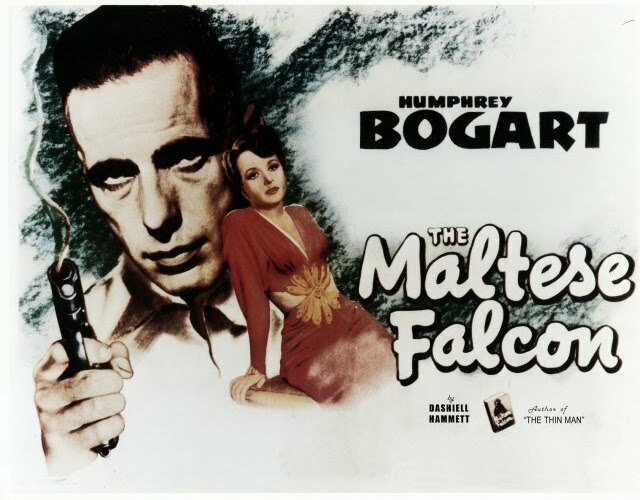 High Sierra might not have given Bogart such an iconic role as in Casablanca and The Maltese Falcon – some of the now-famous roles that Raft turned down, but it sure kick-started Bogart’s journey as a lead, even if it had its fair share of melodrama and shallowness that could have been avoided. 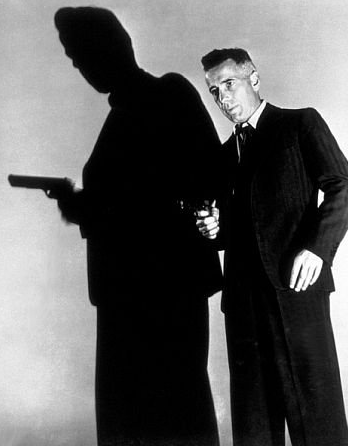 Therefore, at the end of the day, the movie turned out to be a one-man show of sorts, with Bogart playing the role of a middle-aged, recently paroled gangster, planning his last caper. Though seemingly a son-of-a-gun, he is an old-timer when it comes to emotions, and his life arc turns out to of a the proportion of Greek tragedy. Bogart did an exceptional job as Roy Earle, the tough yet painfully solitary gangster, and Ida Lupino, was commendable as his unlikely fiancé. The movie’s pacing is a mixture of fast-paced sequences and moments of deliberation, and is a concoction of a variety of genre conventions – consequently it’s anything but archetypal mobster movie. Further, even thematically is a mixture of crime and punishment, life on the road, unrequited love, to name a few, and thus at the end it has presented a pretty complex tapestry despite not being as tough a movie as one might expect it to be. p.s. High Sierra is part of Humphrey Bogart: The Essential Collection, a wonderful boxset release by Warner Bros.
A reviewer has called the plot of Raoul Walsh’s slam-bang drama/thriller They Drive by Night, with decidedly gleeful smirk, as schizophrenic. 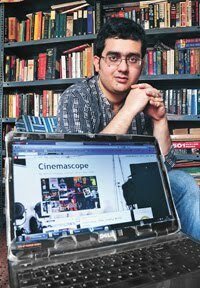 He called this as two films into one, and I must say I do agree with his views. The first half of the movie is a social consciousness drama about two small-time but aggressive trucker brothers (played by George Raft and Humphrey Bogart) just about surviving in depression-era America; while the second half is a noir thriller where a bored but good-looking housewife murders her wealthy, middle-aged husband in order to be with her former lover (Raft), and when he refuses to leave his wife for her, she alleges him to be complicit in the murder, in order to get even. As with most of the earlier films in his career, Bogart pays the second fiddle, in this case to George Raft. But there’s no denying the fact that the real revelation of the film was Ida Lupino, whose role as the gold-digging and self-serving wife of a gregarious, earthy and unsuspecting millionaire, and her subsequent transition into a raging lunatic, won her rave reviews. Though one might be tad wary given the “schizophrenic” nature of the plot, rest assured that this is an extremely engaging film to watch, filled with, as you might have already guessed it, equal amounts of realism and suspense. p.s. 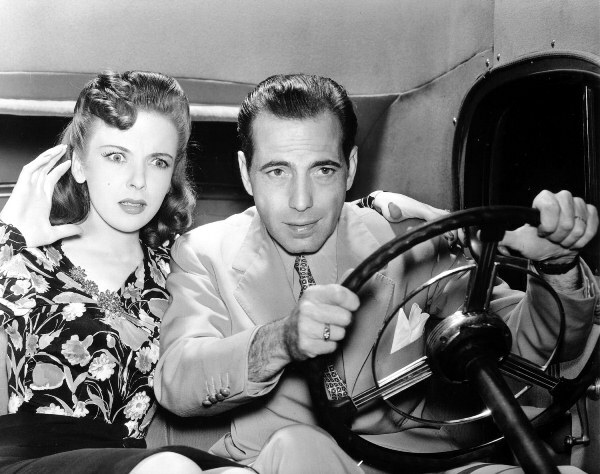 They Drive by Night is part of Humphrey Bogart: The Essential Collection, a wonderful boxset release by Warner Bros. When you think of the then-electric pairing of Bogart and Bacall, you think of Big Sleep, To Have and Have Not, even Key Largo for that matter; Dark Passage tends to feature much lower in that list. However, suffice it to say, despite the movie’s relative anonymity, it continues to remain a competent example of noir. Some might scoff at it and call it a gimmick, but there’s no doubting the fact that Dark Passage had one of the most audacious first forty minutes you can think of – the protagonist’s face wasn’t shown, rather the occurrences were shown through his eyes. The movie has Humphrey Bogart as an escaped convict who is on the lookout for the person who framed him in his wife’s murder. He is helped in his mission by Lauren Bacall, who provides him with the much-needed shelter post a plastic surgery operation that he undergoes to change his face. The presence of a slimy blackmailer starts acting as a thorn in his relentless seek for “out of court” justice. The plot, true to the school of filmmaking it belongs to, twists and turns, with the atmosphere being as claustrophobic, disorienting and bleak as it gets. The movie might have employed a very economical script which in my opinion could have been more compact, Bogart ensured no one’s bored for even a minute with his powerful portrayal of a common man pushed to the edge of his sanity, and ready to go the distance to get his job done. p.s. 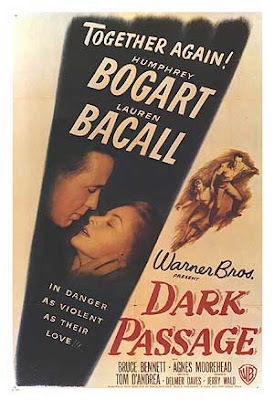 Dark Passage is part of Humphrey Bogart: The Essential Collection, a wonderful boxset release by Warner Bros.
More than a gangster movie and a social consciousness drama, The Roaring Twenties remains a nostalgic look back at the Depression and the Prohibition era, events that played immense roles in contemporary American history – politically, socially, and from the standpoint of arts. This movie also established Raoul Walsh as a first-rate and bankable filmmaker. 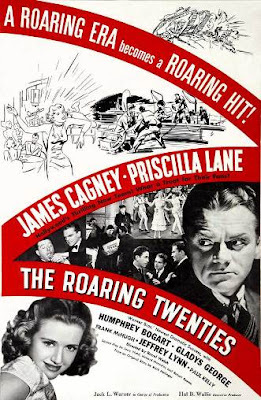 This is a crisp, stylish and sentimental movie (though, thankfully, never saccharine or a tearjerker), and has at its heart the character of Eddie, played memorably by James Cagney – a legend of the gangster movie era. Eddie, a war veteran, returns home triumphant, only to find himself without a job. 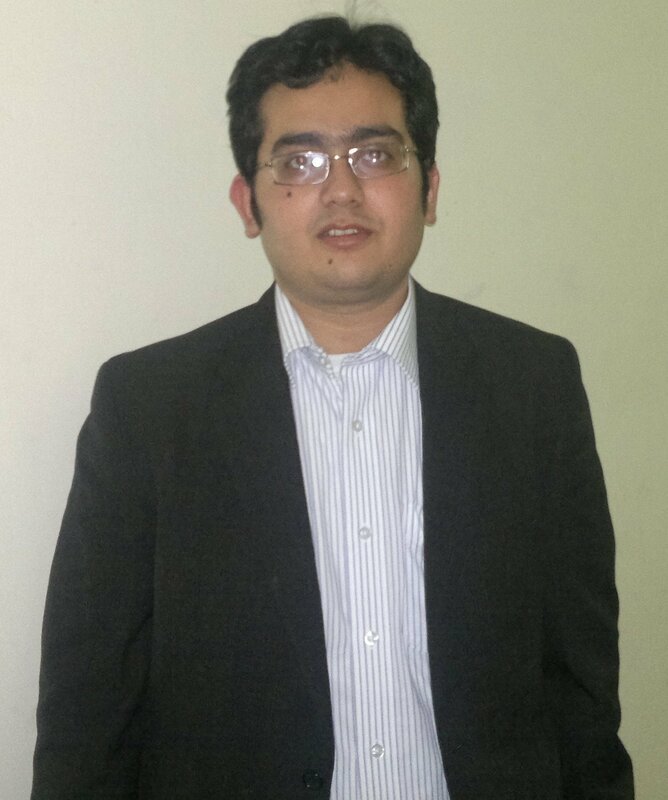 He tries to live honestly for a while, but it is only a matter of time before he decides to take the short-cut to success. 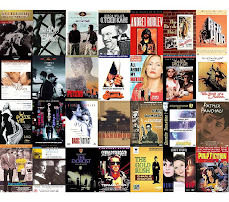 And in films, as in life, luck runs only for so long. Meanwhile, he also finds it the hard way that the girl he loves doesn’t reciprocate his feelings. As the vicious cycle of life brings him back to from where his spectacular journey had begun, he gets one last shot at redemption – with the film culminating in a famous climax sequence that is sure to remind many Hindi film lovers of Deewar’s iconic last scene. The movie also had powerful turns from Humphrey Bogart, not a lead star yet, as the film’s cold and scheming antagonist, and Gladys George as a women silently in love with Eddie. p.s. The Roaring Twenties is part of Humphrey Bogart: The Essential Collection, a wonderful boxset release by Warner Bros.